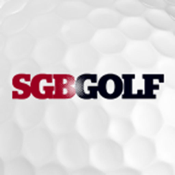 SGB Golf is one of Europe’s leading golf trade magazines and has a reputation amongst retailers, manufacturers and distributors as being topical, informative and an invaluable all-round business tool. In addition, the magazine runs features every month targeted at different sectors of the golf market. Whether it’s apparel, drivers, irons, bags or trolleys, SGB Golf will give you the low-down on the products that really matter.